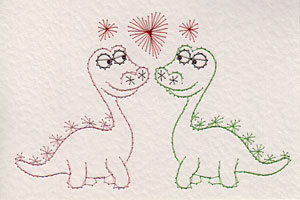 A Valentines dinosaurs pattern has been added to the Stitching Cards collection. The design features two dinosaurs with hearts above. It makes an amusing Valentines Day card.